People sure do love carving pumpkins that look like their pets. 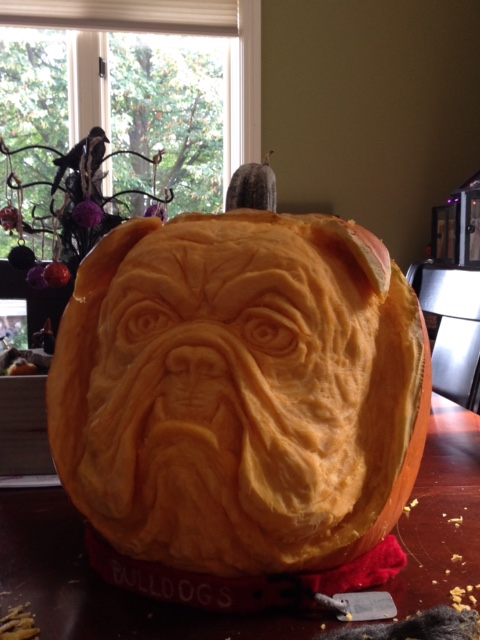 This person carved their pumpkin to look like a bulldog. Or maybe they were carving a pumpkin that looks like Winston Churchill? I can never really tell the difference.